I was sorry to read last night in the Guardian that the great scholar of Byzantium and Venice, John Julius Norwich, died last Friday [1 June 2018]. John Julius Norwich (John Julius Cooper, 2nd Viscount Norwich) is one of the most distinguished and charismatic writers and broadcasters of our time and is best-known for his works on the Byzantine empire, mediaeval Sicily and Venice. He produced 30 historical documentaries for BBC television. A few weeks after reading this book, I was back in Wexford to hear John Julius Norwich deliver the 2016 Dr Tom Walsh Lecture as part of the Wexford Festival Opera [28 October 2016]. In an interview-style presentation on the stage at the Clayton White Hotel, that morning, he spoke fondly of Wexford, saying he had been there at least 50 times, coming to the opera festival for the first time in 1961. There were humorous recollections of staying with the Beits at Russborough House in Co Wicklow, and late night festival parties in the Talbot Hotel. It was a self-deprecating hour on stage, as he tried to deny he was an original historian, saying instead he only tried to make what is already known to the general reader. He became fascinated with Byzantium as an 18-year-old undergraduate at Oxford, and his first major work was a two-volume history of Sicily. After a career in the diplomatic service, he became a writer, particularly on history, art and travel subjects. His many books include acclaimed works on Venice, Byzantium, Mount Athos, Glyndebourne, the Normans, the Popes, Shakespeare and architecture, and his Christmas Crackers collections of trivia and witticisms. He edited the diaries of his father, Duff Cooper, 1st Viscount Norwich, and letters from his famously glamorous mother, Lady Diana Cooper (Darling Monster: The Letters of Lady Diana Cooper to Her Son John Julius Norwich). A distinguished and popular broadcaster on television and radio he has written and presented some 30 television documentaries on art, architecture and history, on subjects ranging from the fall of Constantinople, through Napoleon’s final 100 days’ campaign, to Haiti’s revolutionary leader Toussaint Louverture. He chaired or served on the committees of numerous charitable projects, including projects concerned with Venice, world monuments, fine arts, the disabled, the National Trust and English National Opera. He was a regular speaker at lunches and dinners and in 2006 and 2007 he gave one-man shows in two London theatres. He will also be remembered for his wit and erudition by listeners to the BBC radio programmes My Word! and Round Britain Quiz. John Julius Cooper, Viscount Norwich, author and broadcaster, born 15 September 1929, died 1 June 2018. The Guardian obituary is HERE. In my sermons on Sunday morning, I had been talking about the number of grains of sand on the beaches of the world, and the number of stars to be seen in the sky. So it seemed only fitting to go for a walk on the beach on Sunday afternoon [3 June 2018]. 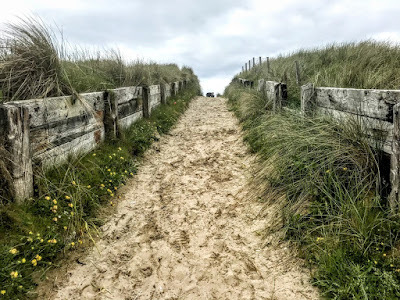 After visiting Saint Brendan’s Cathedral, Ardfert, and lunch in Ardfert on Sunday afternoon, two of us went for a walk on Banna Strand, also known as Banna Beach, in Tralee Bay, about 12 km north-west of Tralee. Banns Strand faces the Atlantic Ocean and stretches for miles from Ballyheigue Beach at Blackrock to the north to Barrow Beach to the south. 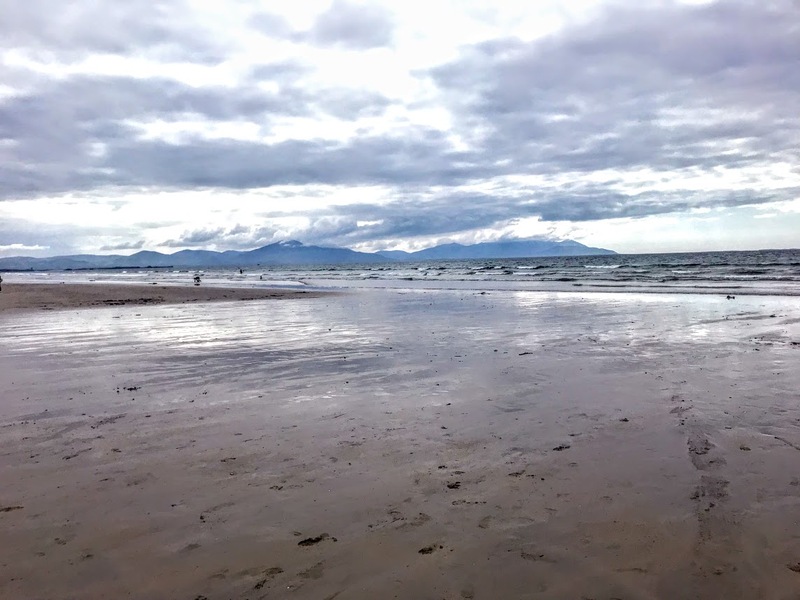 Banna Beach is a beautiful Blue Flag beach with sand that extends for miles, making it a walker’s paradise. It was voted the No 1 beach in Ireland on Trip Advisor in 2017. 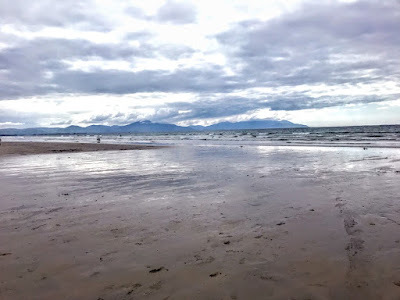 From the beach, there are views of the mountains of the Dingle Peninsula on the south-west horizon, Kerry Head and the Maulin Mountain to the north-west, and straight out in the sea I could see Mucklaghmore Rock. 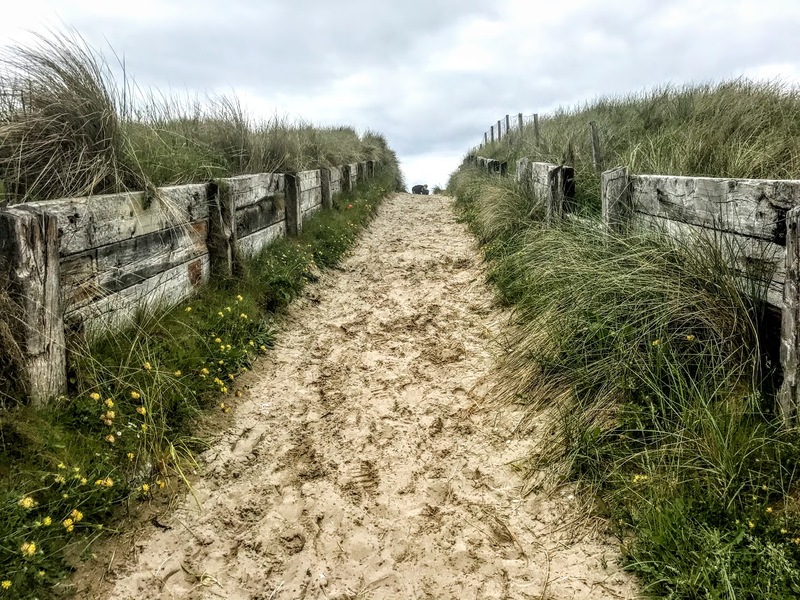 The sand dunes here rise to heights of up to 12 metres (40 ft) and are a designated conservation area with rare plants and animals. The beach is also a popular place for surfing spot, with surfing lessons and summer camps and surfboards and wet suits for hire. Banna Beach Hotel closed in 2002 and has been replaced by the Banna Beach Leisure Centre. Dotted around the area are numerous holiday homes and mobile homes. Banna Strand is also associated with Roger Casement, who was captured on 21 April 1916, having landed from a German U-Boat. Casement was involved in an attempt to land arms for Irish Republicans from the German vessel the Aud. The monument was erected in 1966 to commemorate the 50th anniversary of the landing. The organising committee deliberately omitted the name of the ‘third man’ from the monument because he turned ‘King’s evidence’ after his arrest. 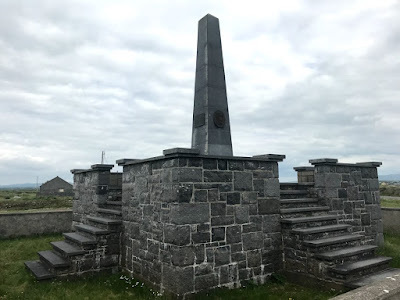 Both Casement and Beverley were captured, while Robert Monteith (1879-1956), from Kilcoole, Co Wicklow, spent the next six months hiding in Kerry, Limerick, and Cork, before travelling back to his family in New York. When the monument was erected, the sod was turned by Robert Monteith’s daughter, Florrie Monteith Lynch. She was the author of a biography of her father, The Mystery Man of Banna Strand.